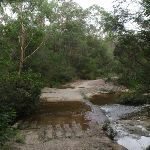 From Douglas Street, this walk follows the management trail through the National Park gate marked with ‘The Cascades Track’ sign. 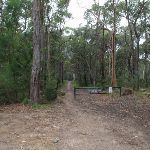 The walk heads down the hill briefly until coming to a four-way intersection with a bush track (heading towards the large soccer oval to the right). 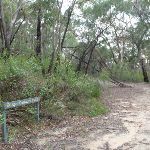 Continue straight: From the intersection, this walk follows the management trail down the hill and through the bush for a little while, coming to an intersection with a bush track on the left. 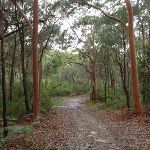 Continue straight: From the intersection, this walk follows the management trail down the hill, with the ground sloping up to the left. 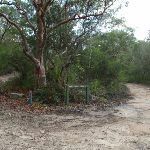 Soon, it comes to a ‘Y’ intersection with another management trail at the ‘Upper Cambourne Track’ sign. 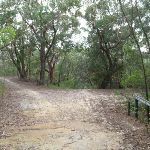 Veer right: From the intersection, this walk follows the service trail opposite the ‘Upper Cambourne’ sign, heading down the hill for a short distance to the signposted intersection of the Lower Cambourne track. 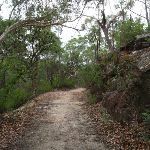 Veer right: From the intersection, the walk follows ‘The Cascades Track’ sign along the asphalt service trail. 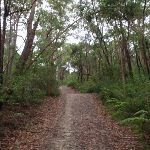 After going down a long hill the walk takes the right hand fork at an intersection of 2 service trails. 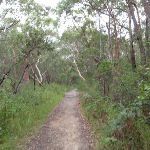 The walk then winds all the way to the bottom of the valley and continues to the intersection with the link track a short distance later. 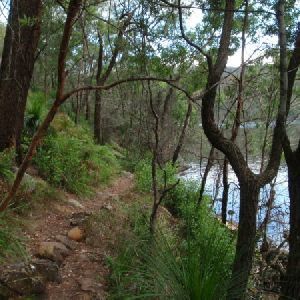 Continue straight: From the intersection, the walk follows the service trail down the hill to the signposted intersection of the Bare creek and cascades service trails. 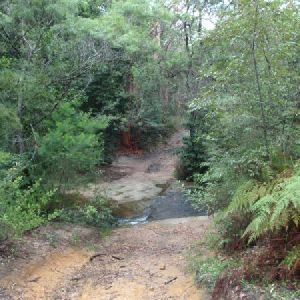 Continue straight: From the intersection, this walk follows the ‘Cascades Track’ arrow along the service trail, heading down the hill and across a creek, continuing up the other side as the track winds through the bush for a short while before crossing a creek and coming to the cascades. 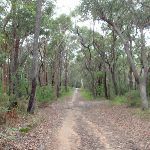 Around 1.6km of this walk has gentle hills with occasional steps, whilst the remaining 90m has short steep hills. 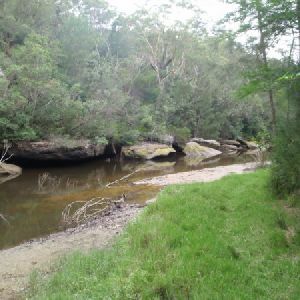 Around 1.7km of this walk has limited facilities (such as not all cliffs fenced), whilst the remaining 65m is close to useful facilities (such as fenced cliffs and seats). 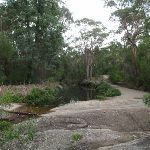 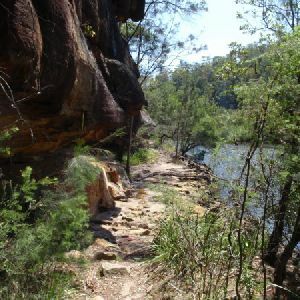 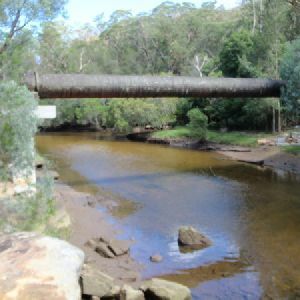 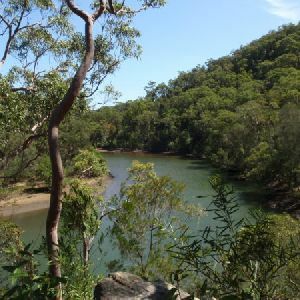 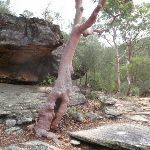 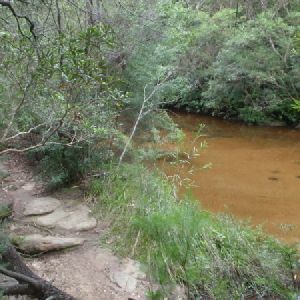 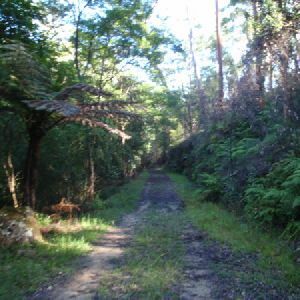 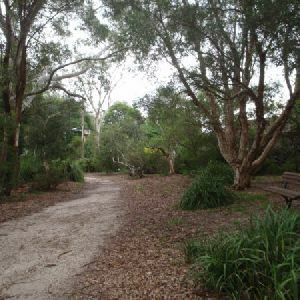 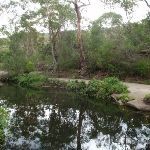 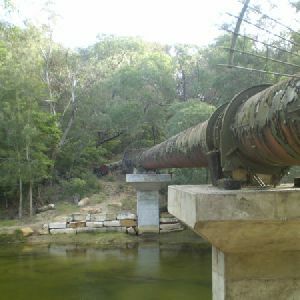 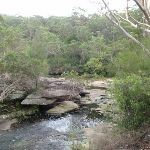 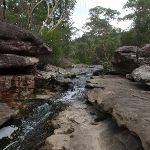 A list of walks that share part of the track with the Cascades Track, return from St Ives walk. 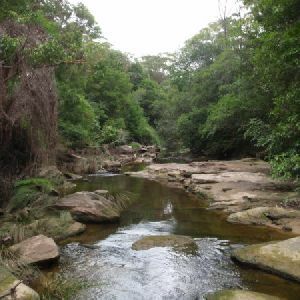 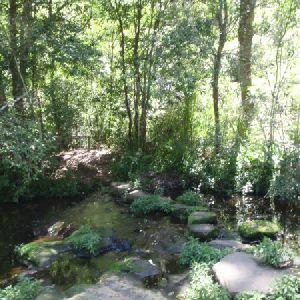 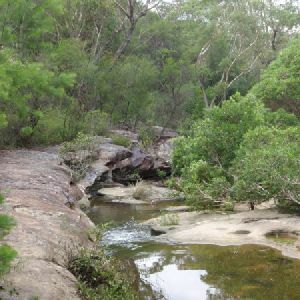 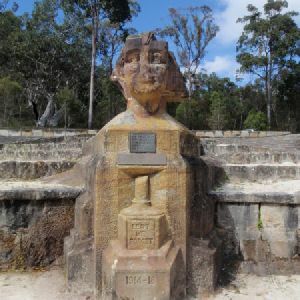 A list of walks that start near the Cascades Track, return from St Ives walk. 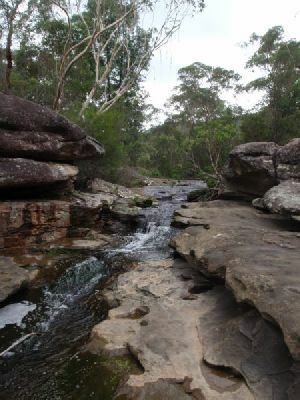 http://new.wildwalks.com/wildwalks_custom/includes/walk_fire_danger.php?walkid=nsw-gariganp-ct Each park may have its own fire ban, this rating is only valid for today and is based on information from the RFS Please check the RFS Website for more information.